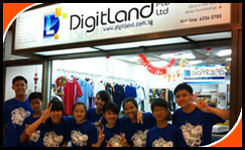 DigitLand Specialise in customise apparel production for corporate and outdoor activity events. 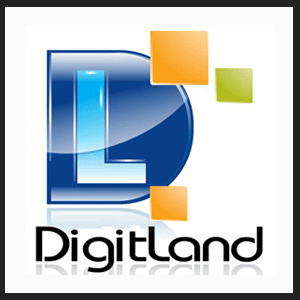 DigitLand also carryReady Stock – Polo Tshirt design in more than 100 over styles, colour varience for you to choose and we provide customise printing of your Logo or design to make it your complete style. Please click more information to see our samples and design. 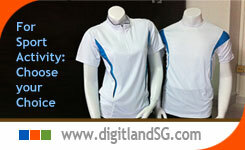 Choose from our Ready Stock – Basic Round Neck series, comes in cotton or dri-fit material. Printing Individual name or Individual number as in Optional Request. 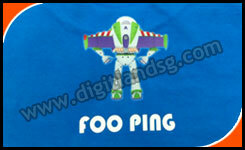 DigitLand provide High Quality, Industrial Grade Printing: for small logos in full color. Try with us. 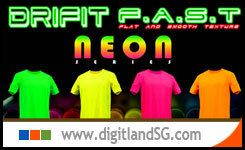 Great smooth gradient printing to bring along with you. See here more to see some logos sample. Have your GREAT ONE.